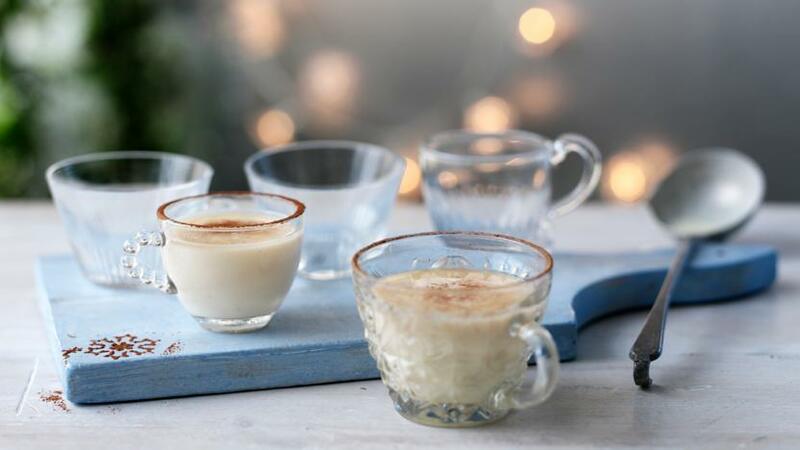 Enjoy this classic homemade Christmas tipple laced with brandy to keep out the winter cold. Place the milk, eggs, sugar and vanilla pod in a medium pan and heat gently, without boiling, until the mixture thickens enough to coat the back of a spoon. The egg nog can be chilled at this stage or served hot. To serve, scatter the cherries in the bottom of each serving glass. Divide the brandy between the glasses and pour the egg nog over. Dust with cocoa powder and serve.